Clive graduated from the University of Pennsylvania’s Wharton School in 1999. During his time at Penn, he was an active member of the Newman Center and consistently volunteered with the soup kitchen, a partnership between the Newman Center and the University City Hospitality Coalition (UCHC). 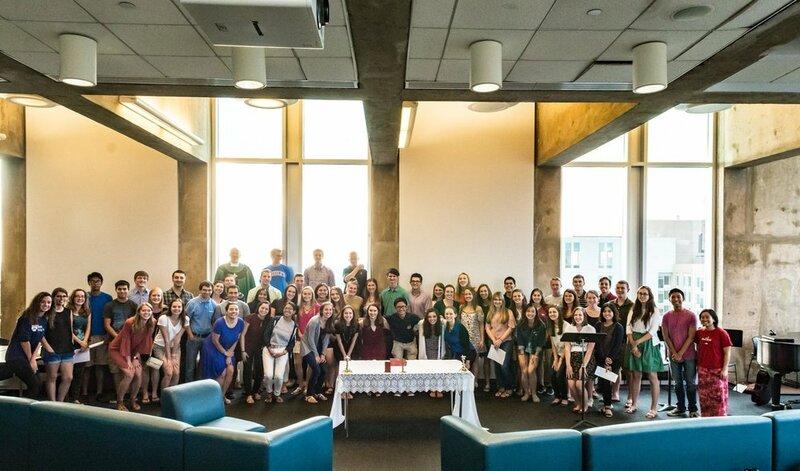 In the years since his graduation, he has given back to the Newman Center as a regular financial supporter, and since 2004 has made his gifts in memory of the beloved chaplain Fr. Chuck Pfeffer who passed away suddenly and much too early in life. Fr. Chuck made a lifelong impact on students like Clive. Clive’s parents came to the United States fifty years ago hoping for a better life, not so much for themselves, but for their children. He was the first person from his family born in America. At the age of five, his dad died unexpectedly, leaving his mother without nearby relatives, traditional career skills, or a job to support the family. From that point on, Clive became the man of the house, working jobs from the age of nine. Clive put himself through Wharton, all the while being a leader on campus, doing weekly community service, and working multiple jobs. Shaped by these challenges, educated at one of the top business schools, and seasoned through the ups and downs of our financial markets, Clive holds passionately to three principles: seek first the good of the other, remain loyal, and never take shortcuts. In my time of getting to know Clive, I’ve seen that he’s one of those guys with a growth mindset – whether that be in his personal life or in business. He’s hungry to learn, ambitious to grow. Honor drives him to help family, friends, and the community at large. He diligently continues his family’s passion for service and giving back, even starting a scholarship for fellow difference-makers facing financial hardship. Professionally, Clive has worked in mergers and acquisitions as well as at a complex strategy hedge fund. In his longest tenure, he served as Senior Vice President & Senior Securities Analyst at Columbus Circle Investors (CCI), an investment management firm where he spent 13 years as a generalist investor with a core sector focus in healthcare. During his tenure at CCI, the firm grew from $2 billion in assets under management to a high of approximately $18 billion. For the firm, he helped grow his team’s allocation from $1 billion to over $10 billion. Thankfully we have alums like Clive on our side. Everyone’s story is different, each with their own personality and strengths, and way of giving back. But Clive has proven to me that he is the epitome of staunch dedication and generosity to those that were first generous to him.